In recognition to the hard work and efforts of the contributors, medals are awarded to works and submissions that stands out from the regular ones. These works are the cream of PowerPoint Heaven. Strict rules and conditions are applied to these awards, hence only the best works will be awarded. Based on these awards, you can also decide which are the recommended choices. Description: The highest recognition for a PowerPoint work. The Top Choice Medal is given to the best of the best. These works must possess excellent quality and will be judged according to the originality, graphical, technical, entertainment value and creativity aspects. 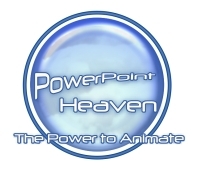 Top Choice's works are definitely your top priority to consider when browsing through PowerPoint Heaven. Description: The Viewers' Choice Medal is given to works that are highly popular. This award recognizes the awardee for creating a work that is well-liked by many. The judgment is based on the number of views, feedbacks, votes and downloads. AutoShapes Art: Inspiration (pso2850) : An artistic work that has won many feedbacks, views and votes on PowerPoint Expert Club, thus worthy of the Viewers' Choice Medal. Pixels Neon 3 (Anthony Barfield) : A popular work that has gained many feedbacks on PowerPoint Heaven Discussion Board, thus worthy of the Viewers' Choice Medal. Omegaoma's Motion (oma1094) : A sophisticated and impressive work that has won many votes on PowerPoint Expert Club, thus worthy of the Viewers' Choice Medal. Intro Animation Contest 2 (Han Byul Jang, Zzangdol) : An eye catching work that has been mentioned on VizThink's webinar by Nancy Duarte, thus awarded the Viewers' Choice Medal. Ultimate Sniper (Ted Thayer) : An eye catching work that has been mentioned on VizThink's webinar by Nancy Duarte, thus awarded the Viewers' Choice Medal. Description: The Impressive PowerPoint Skill Medal is given to works that are outstanding and breaking through the limits of PowerPoint. This award recognizes the awardee for his exceptional use of PowerPoint skill and techniques, and even surpassing his current level. Description: The Eye Catching Medal is given to works that can either be simplistic or complex, but have the ability to captivate the audience and possessing an irresistible charm that attracts the viewers to watch them over and over again. Description: The Originality Medal is given to works that are unique in its style and concept (particularly in PowerPoint Games), or implementing unique PowerPoint techniques to enhance the work. Description: The Audio Medal is given to works that are accompanied by outstanding background music and sound effects. The music and sound effects must be original and blends in well with the work, making it soothing to the ears and thus immensely enhancing the overall experience. Description: The Featured Medal is given to works that are worthy for a feature on the front page. Description: The VIP Contributor Medal is the most prestigious award on PowerPoint Heaven and the highest mark of honor conferred to a PowerPointer. This medal is given to contributors in the form of appreciation and recognition, whom works have been awarded at least 10 Submission Medals (excluding Featured Medal, requires at least 1 Top Choice Medal). Awardee conferred with this award are known for their continuous efforts toward producing remarkable and exceptional PowerPoint works, and pushing the limits of PowerPoint, thus greatly benefiting the PowerPoint community. Description: The Featured Honor Medals are given to contributors whom works have been featured on the front page at least 5 or 10 times. The Medals recognize the contributor for his continuous effort on producing excellent works that have been featured on the front page. Description: The eCon Awards are presented to works which have won the annual PowerPoint Heaven eConvention eCon Awards voting. This award is a form of recognition to recognize the contributors for their hard work and effort for the year.